It’s the season of giving. 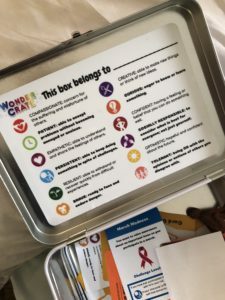 If you’re into giving, I highly recommend Wonder Crate, a new subscription box that inspires kids to think big about the impact they can have, while giving them the tools to do so! 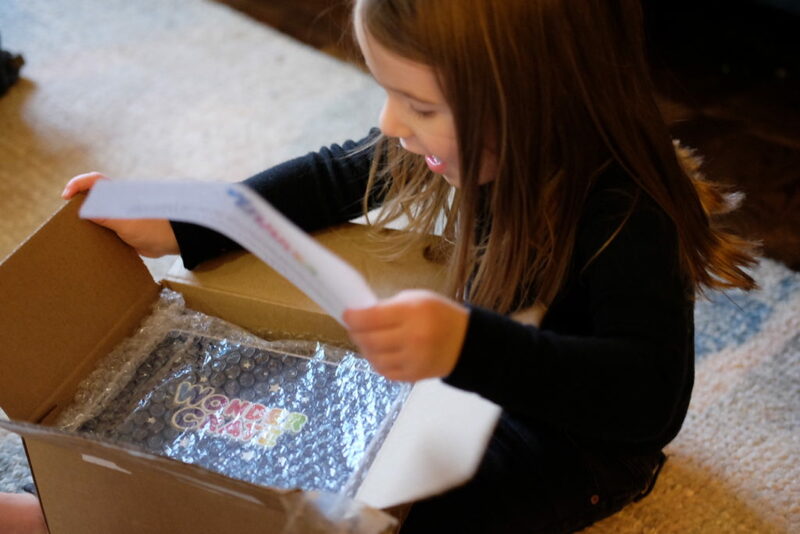 I’m very grateful that Wonder Crate’s founder, Corrie, (fellow Mom and educator! ), sent us a box to try out ourselves. What kid doesn’t love getting mail? Don’t underestimate the power of a personally addressed, colorful box for your kids! To learn more about Wonder Crate, I chatted with Corrie, conversation below. Thanks, Corrie, for your vision, and for the crate! 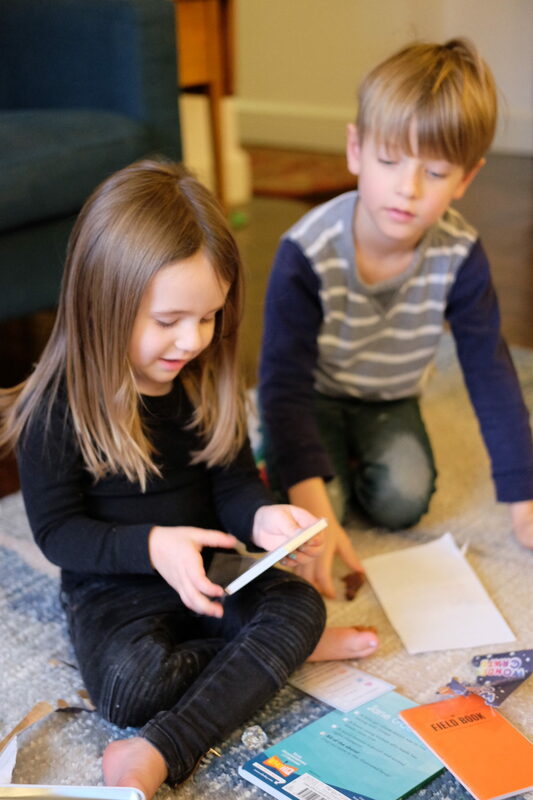 If you’d like to try Wonder Crate for the little people in your life, enter code IMAGINATION anytime before December 15th to receive 15% off your order! December’s crate explores creativity with Leonardo Da Vinci and Alex Knoll (a child that created an app for people with disabilities). Happy reading, happy wonder. xoxo. RI: What exactly is Wonder Crate? 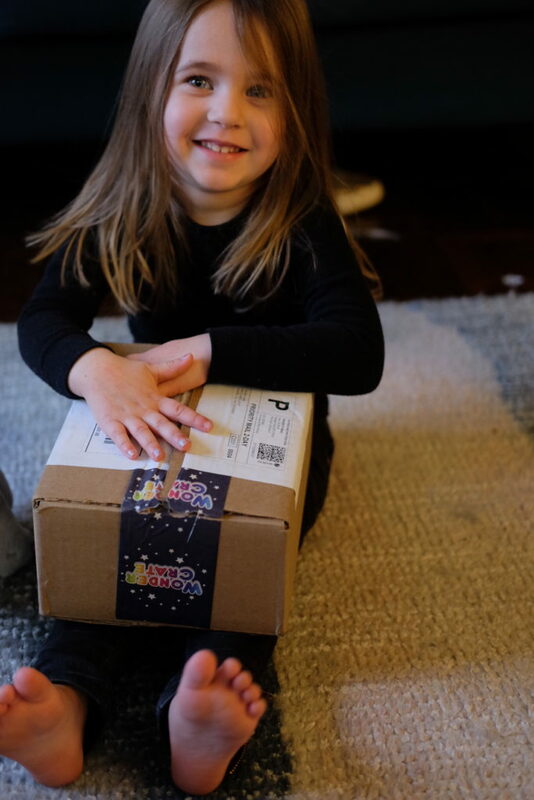 Corrie: Wonder Crate is a subscription box that inspires kids ages 7-11 to expand what they think is possible for themselves and the impact that they can have in the world. Each monthly box contains books, games and activities to educate, entertain and empower kids to use their strengths to contribute positively and uniquely to the world around them. Find your amazing and share it with the world! RI: That sounds pretty amazing. What was your inspiration for founding Wonder Crate? Corrie: After the last election I was feeling despair about the future and the things that made me feel better were going to marches, being inspired by amazing leaders and volunteering with the USCRI (US Committee for Refugees and Immigrants). I wanted my own kids to be inspired by people that are making the world a better place and to empower them with ways that they can do their part. They may not be able to change immigration policy but they can make an immigrant child feel welcome in our community and that is very empowering. As a mom and educator, I was also very interested in the characteristics of great innovators, activists and leaders and how we could give those important skills to the next generation. 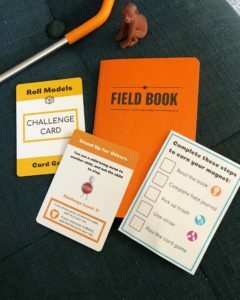 Our boxes not only introduce kids to people (both big and small) that are doing good in the world, we highlight the skills that they need to make an impact and give kids some fun ways to develop these skills. We focus on persistence, resilience, optimism, confidence, empathy, compassion, social responsibility, curiosity, creativity, tolerance, patience, and bravery. RI: Focusing on the characteristics of champions for equality and social good is so important. What role does imagination play in developing children to care about the world and others? Corrie: Imagination plays an important part in developing these skills. Pretending to be someone else is a great way to build empathy. Playing out different scenarios builds confidence and bravery. Imagination also lets kids practice coming up with creative ways to solve problems. We need to encourage young people to develop these skills (like a muscle, they get stronger the more they use them). We can also help them to discover their strengths/passions and how they can use them to make a difference. Not everyone will be a leader but everyone can use their strengths to contribute uniquely and positively to the world around them. When kids see how good it feels to contribute positively to the lives of others, they will become adults who want to help others. While my three are a bit young for the suggested age, they still grasped the concept that the world is bigger than them and even some elements of environmental justice (our box focused on the environment and highlighted Jane Goodall!) Corrie graciously added extra play monkies and sustainable straws because she knows I have more than one child. The card game is a personal favorite of mine, which includes examples of how kids can innovate to help the world. One such card reads, 783 million people don’t have clean water. You invent a way to make salt water drinkable — plus 4 points! And another favorite pictured here celebrates standing up to bullies. I’m pretty inspired by Corrie’s vision to proactively address inequalities and disappointment in her life and in the world — and couldn’t agree more about the endless possibilities of the next generation to make this world a better place than they found it. 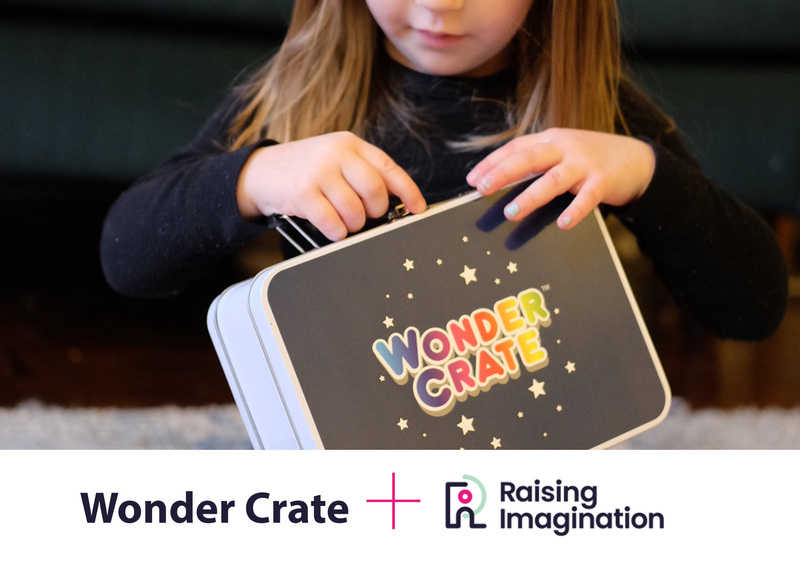 Remember — use code IMAGINATION before December 15th to gift Wonder Crate to someone in your life!